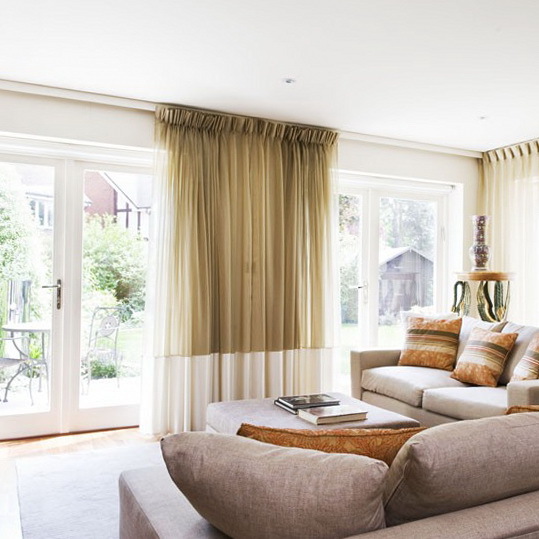 Make the most of a garden view by opting for simple window treatments, like these sheer blinds. A pair of stylish armchairs and a side table provides the perfect reading spot. 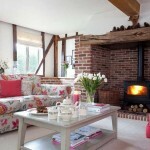 A wooden summerhouse is ideal for easy living. 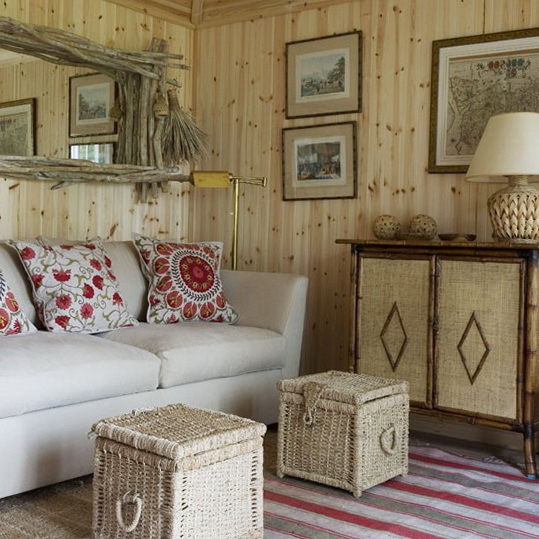 Here, simple rattan furniture, a driftwood mirror and a striped rug provide the perfect garden getaway. 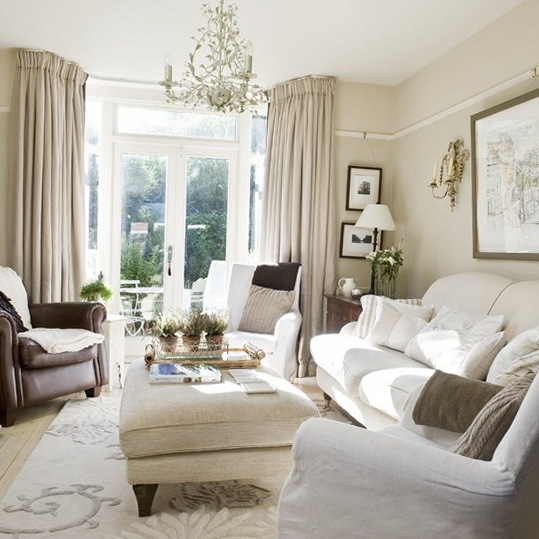 Bright white walls, a wooden floor and simple linen curtains help maximise the light in this airy living room. 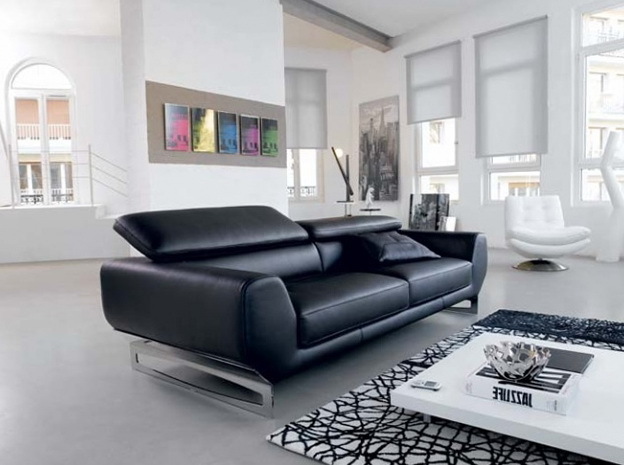 Place your garden centrestage by positioning furniture towards the view. 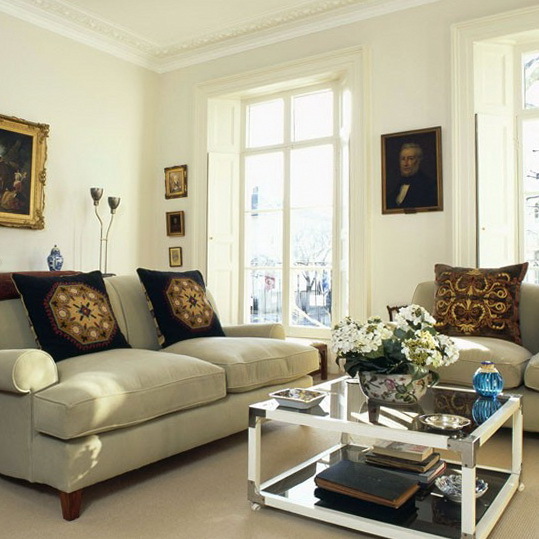 Here, French windows lead directly onto the terrace, and neutral voiles add an air of elegance. 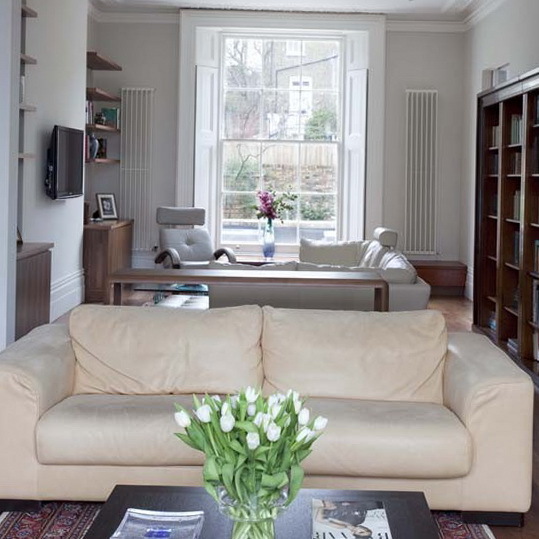 Keep architectural windows like these free of elaborate treatments, to maximise light and space. 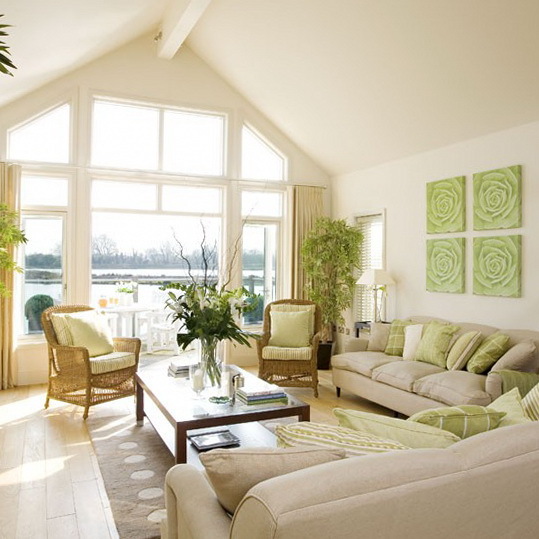 This waterfront living room brings the outside in with a far-reaching view, plus plenty of greens and creams to keep the look bright and fresh. 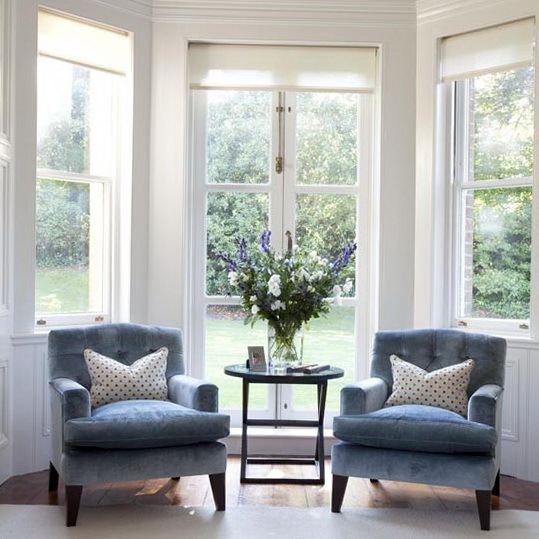 In this elegant drawing room, traditional Georgian shuttered windows allow plenty of light into a neutral scheme. 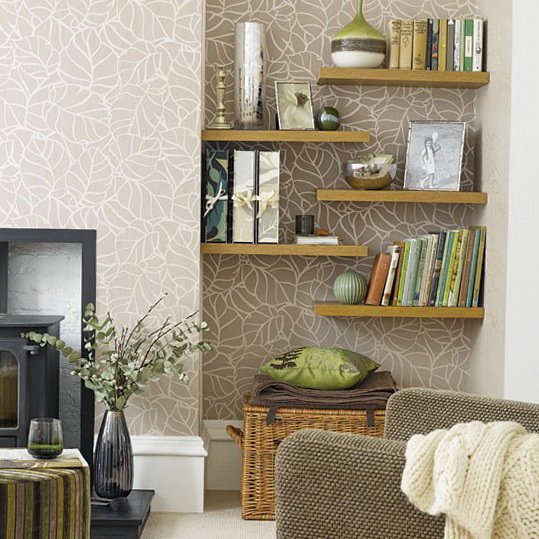 Bring the outside in by accessorising with plenty of pastels. 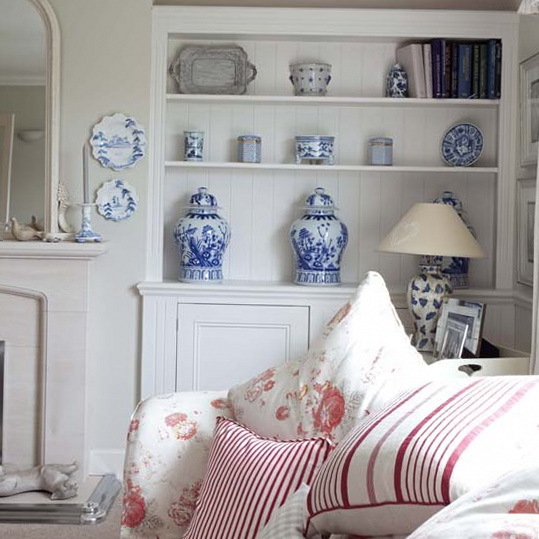 Here, white-painted alcoves act as a perfect foil for a collection of blue and white ceramics and pretty floral cushions. Create a Gallic getaway with a palette of stones, creams and taupes – perfect for rustic summer living. 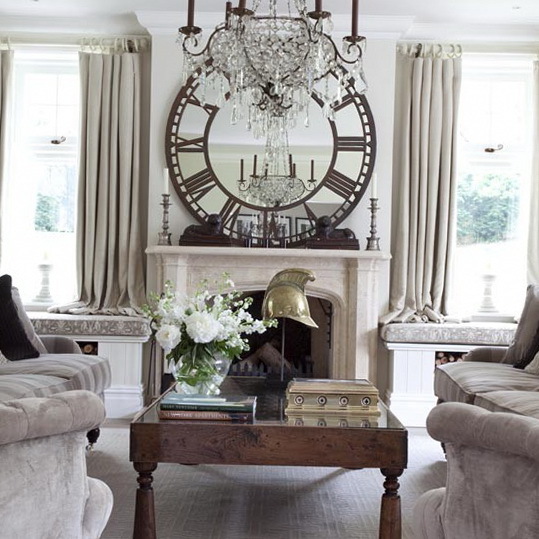 In this French-inspired scheme, a large mirrored clock anchors the two windows either side of the fireplace. 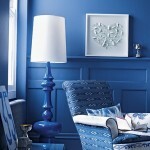 For a relaxed style, make the most of a feature window. 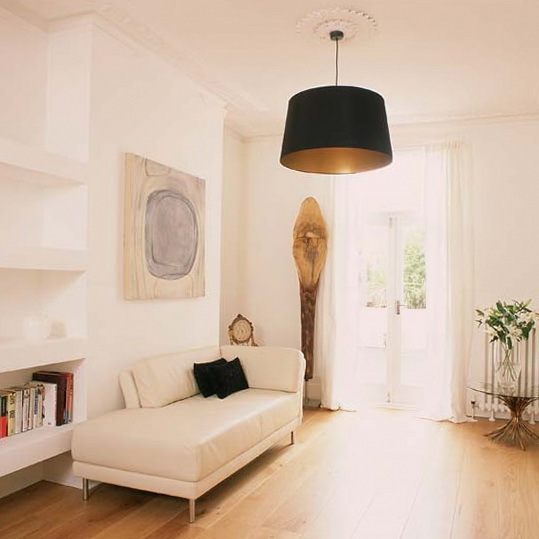 In this scheme, simple lines and soft colours emphasise the room’s architectural features, allowing in plenty of natural light. Extend your living space into the garden by adding a simple bistro set on the terrace. 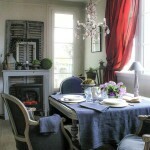 Here, elegantly dressed French windows lead directly onto a sunny spot.